A Palestinian shot by Israeli forces on the Gaza border four months ago has died, the health ministry in the coastal enclave has said. Israel has not publicly responded to the report, although speculation has grown in Israel after an announcement last week that Israeli Prime Minister Benjamin Netanyahu would cancel his upcoming trip to Colombia for the inauguration of the new president there. On Sunday, when the Israeli security cabinet convened to discuss the Gaza truce ideas, one member - Intelligence Minister Israel Katz - tweeted that these should include "bringing Egyptian infrastructure, at sea and on land, to bear for the good of Gaza, under global supervision". It added that in return, Hamas official said the Strip's rulers would commit to halting all attacks against Israel. He noted that the core of the plots is establishing a "pale" entity in the Gaza Strip in return for ignoring all the Palestinian rights. 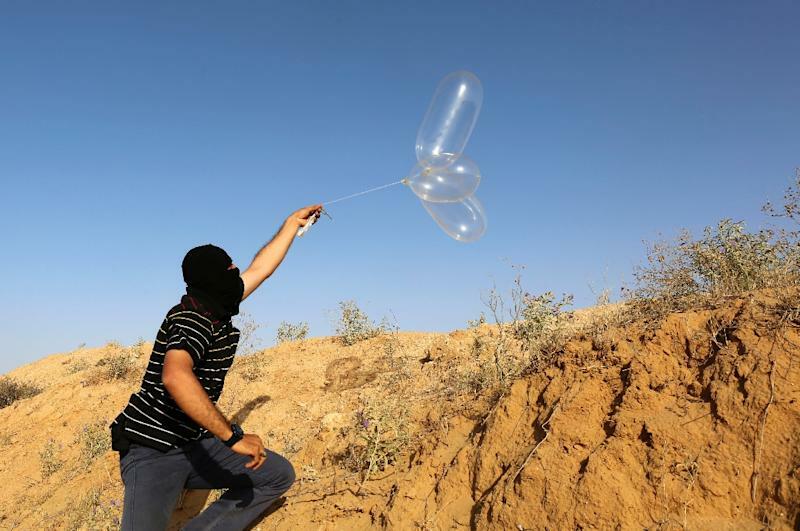 Israeli officials do, however, seem keen to demand Hamas fulfill the obligations that are supposed to kickstart this deal, including ending all protests at the border, and all incendiary balloon flights. Hamas, meanwhile, is desperate to end the blockade, which has made it increasingly hard for the group to govern and has led to growing hardships in Gaza. At least 50 of those killed have been identified by Hamas as members of the militant group. The decision to build the sea barrier was prompted by an incident during the 2014 Israeli-Gaza conflict, when Hamas fighters managed to enter Israeli territory by sea. Fire officials in Israel said incendiary balloons and kites set off almost 50 fires in Israel this weekend alone.